Foreigners and mainland Chinese have no particular issues to buy real estate in Hong Kong. There’s a reason why you find some of the world’s most expensive and, well… most overvalued real estate markets here. 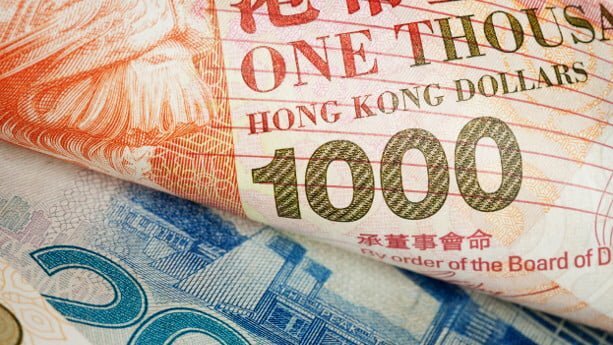 As Hong Kong has competitive interest rates and very low taxes, it’s not strange why the prices have increased tremendously in the past decade. However, there are some restrictions, for example, to the ownership of land, that you should beware of. In principle, all land is owned by the government in Hong Kong and you can only acquire property on a leasehold basis. You’ve might read about the tender process that’s held yearly, where the highest bidding developers can get hold of land plots from the government. This system has been bashed on for a while, as prices have reached the sky. Interestingly, the leasehold periods were set to 75, 99 or 999 years, depending on where you bought property in the past. All lease agreements were supposed to finish in 1997, just before the UK was to hand over its crown pearl to China. Due to this, some people faulty believe that all leasehold agreements will expire in 2047, 50 years after the transfer to Mainland China. Yet, according to the Basic Law, the leasehold agreements can be extended beyond 2047, in case the leases were renewed after 1997. Even if some leases will expire by 2047, there’s an assumption that these leases will be renewable, free of charge. In the end, the mainland wouldn’t gain much by disrupting the system that’s built Hong Kong to what it is today. The market is a bit shaky, particularly as we saw a price peak in August 2018. At the same time, the demand from Chinese buyers has loomed due to the current trade war and tightened capital controls in the mainland. Just listen to this: the demand for luxury property has shrunk as much as 50% of mainland Chinese investors. However, with a price reduction of 10% on average until today’s date, some analysts predict that the market will start improving. Other experts, on the other hand, claims that the market will continue to fall throughout 2019. It’s always hard to predict the real estate market outlook in Hong Kong as there are so many variables involved. It never stops to surprise us and it seems like the sky isn’t the limit. 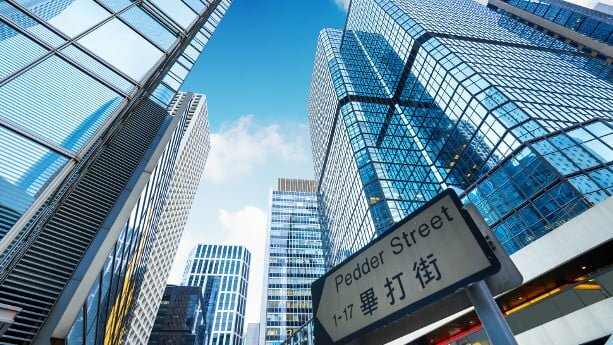 From a long-term perspective, Hong Kong will continue to be a preferred choice among investors, thanks to its favourable policies and business friendly climate. Before you commit to any purchase, it’s important that understand the different steps involved in the buying process. I always include this in my guides, and Hong Kong is not an exception. Firstly, you should know what financing options you have. In case you need a property loan, you should contact a handful of banks in Hong Kong to see if they can help. I’ve personally been in touch with some banks to confirm if it’s even possible to get a local property loan as a non-resident foreigner. In general, foreigners don’t have any problems getting local bank loans. Banks don’t pay much attention to your nationality or residency status. Generally, banks such as HSBC and Standard Chartered offer property loans covering up to 50% of the purchase price, if you use the property for self-dwelling purposes (more about that later). This might seem low considering the high costs when buying real estate in Hong Kong. However, at least it’s something. In fact, I’m even surprised that you can apply for a loan as a non-resident foreigner. If you buy property in places like Japan or Korea, it’s virtually impossible to apply for a local property loan, unless you’re a permanent resident or have a Japanese spouse. Do additional research, if needed, to confirm if there are any other banks that might help you. What documents do I need to bring when applying for a property loan? When you’ve secured your financing and got a pre-approval of your loan, it’s time to find a realtor. Locals often use Centaline and Midland, two of the biggest real estate agents in Hong Kong. You read about them pretty often in newspapers like South China Morning Post (SCMP). When you’ve found an agent, you should assure that he or she has a reputable track record and is well-versed in English, Cantonese, or Mandarin, depending on your needs. Finding realtors online is the most common practice nowadays, at least among Western buyers. 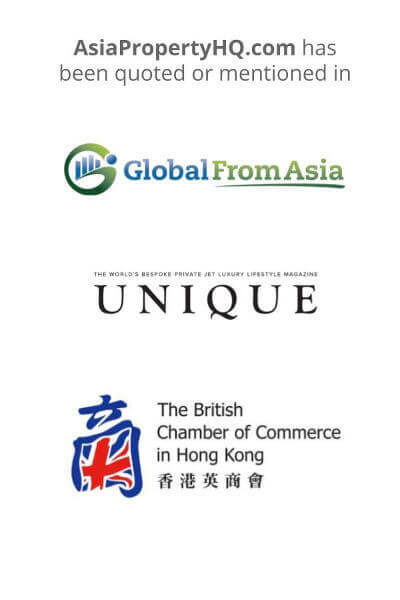 You’ll be sure to find plenty of agents in Hong Kong and there are almost 40,000 agents registered there at the moment. I also recommend you to search for the agent in the EAA’s (Estate Agents Authority) registry. They issue licenses and take care of complaints against real estate agent, among others. You can find much information about realtors on EAA’s website, they also have plenty of other practical info, like FAQs. Simply input the agent’s license number (or name) and press search, all the information is public. It can be preferable to hire a property lawyer to help you with the drafting of documents and other legal work. At least in large transactions. Agreements and contracts are often written in a juridical way. Thus, it can reduce the risk of coming across pitfalls later. The lawyer can help you to check the title deed, confirm if there are any mortgages or encumbrances on the property, help you in the communication with the seller, and more. Keep in mind, a property lawyer will help you to complete the conveyancing process, when the property transfers in your name. Thus, in the end of the day, a property lawyer will be involved in some parts of the process. It might cost you some extra money in the short term, but it can save you a lot of money in the long term. It’s important to make a thorough overview of the title, to assure that there are no hidden encumbrances or liens on the property. Some examples are mortgages, restrictions to use the property, and so it goes on. You can search for the title in the land register online, but should review the title with the help of your realtor and a lawyer. The Land Registry records documents related to ownership of land on behalf of the owner. When you’ve found a property that you like, checked the title, and agreed the price with the seller, you need to pay an initial deposit. The first deposit is called ”the Initial deposit” and usually 5% of the purchase price. You should pay the deposit at the submission of the Provisional Agreement (PA). If you’re from Singapore, you can see that the process is similar as buyers first pay a fee of 1% for a so called Option to Purchase (OP). Keep in mind that the Provisional Agreement (PA) should include all necessary information about the property and what will happen if you or the seller withdraw from the deal. You might lose your deposit and need to pay additional money to compensate the seller. If the seller breaks the agreement, he or she might need to pay an amount that equals to one or two deposits in compensation to you. What information is included in the Provisional Agreement (PA)? You can visit EAA’s website to review a complete list of all the items that the PA should include. What kind of deposits do I need to pay? The Initial Deposit is paid before the Provisional Agreement (PA) is signed and the rate varies between 3-5% of the purchase value. When you sign the Sales and Purchase Agreement (SPA), you need to pay the Further Deposit. The total rate for the Initial Deposit and Further Deposit is 10% of the total price. Lastly, you’ll need to pay a Balance of Price, which is the remaining cost after you’ve cleared the balance of the remaining costs. The Provisional Agreement is, as it speaks, just a simplified and initial contract. At this stage, your property lawyer and agent will help you make the Formal Sales and Purchase Agreement. The agreement should be reviewed and signed by both yourself and the seller. Before finalizing the payment of your property, you need to confirm the final mortgage amount that you can borrow from the bank. Usually, your lawyer or agent will communicate with your bank to make sure that the money is transferred from your account to the seller’s account. According to HSBC, non-resident foreigners can get mortgages up to 50% of the total property value, if you reside in the property. Also, there’s a cap set to HKD 4,000,000. If you buy a property as an investor, which means that you rent it out, the LTV will be reduced to 40%. The repayment period is maximum 30 years and amortizations are normally made on a monthly basis. Be sure to discuss with a local branch directly as regulations change over time and to get all relevant details. Don’t take for granted that all of the above mentioned banks offer mortgages for nonresidents, especially if your income comes from abroad. Many banks prefer that your source of income is Hong Kong. I’ve also been in contact with Standard Chartered in Hong Kong, the mortgage conditions are basically the same as HSBC’s. If you buy property for self-dwelling purposes, the maximum loan rate available is 50% of the property value. If you buy the property for investment purposes, the rate is set to 40%. The interest rate is 1.5 – 2% and foreigners often amortize on a monthly basis. Keep in mind, you need to go to Hong Kong and book a meeting with a local branch in order to get a loan. 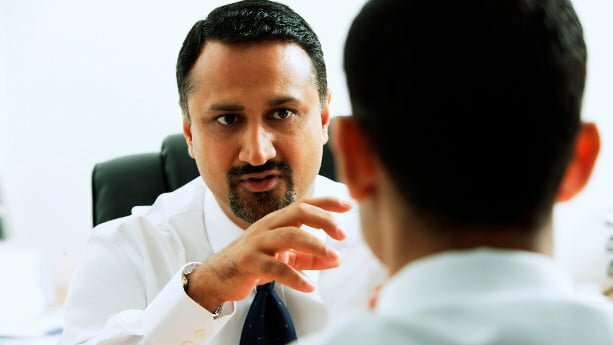 Can I get a property loan from a real estate agent in Hong Kong? As I mentioned earlier, the two biggest real estate agents are Midland and Centaline. They got attention in the media when offering up to 100% mortgage loans to locals, with no requirements to pay any down payments. I’ve been in contact with Midland and asked what the conditions are for foreigners who wish to apply for a local property loan, who aren’t Hong Kong residents. The loan conditions differ depending on if your source of income comes from Hong Kong or not. Let’s have a look at both scenarios. If your income comes from Hong Kong, Midland offers loans up to HKD 4,000,000, covering 50% of the total property value. Property loans are capped at HKD 3,000,000. They can finance 40% of the purchase price, or assessed value, whichever is higher. Be sure to collect all relevant information you can from the banks and set up a meeting in person, before making a decision. 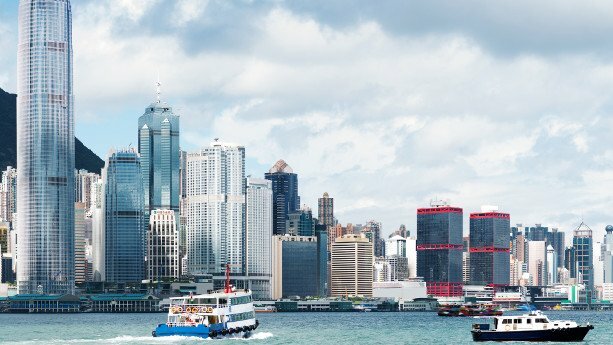 Hong Kong’s real estate market has flourished in the past decade and it just moves upward. Mainland Chinese are the main contributors as they see Hong Kong as a safe place to allocate money, especially in the real estate market. Looking at real numbers, the average price per square meter was HKD 23,336 (USD 2,985) in September 2018. That’s an increase of almost 17% compared to the previous year. I know, it sounds astonishing, taking into consideration that Hong Kong has the most expensive property market in the world. 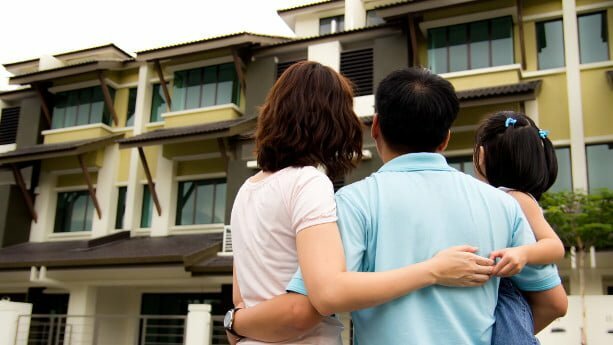 The introduction of tighter lending policies and an increased Buyer’s Stamp Duty (BSD) in April 2018 had some effect, as prices started to fall during the second half of the year. We’ve seen that the US-China trade war has taken its toll on Chinese companies that generally buy much real estate in Hong Kong. Evidently, the Chinese play a big role in the market as we saw a correction of around 10% during the first quarter of 2019. According to JLL, prices can decrease as much as 20% in 2019, if the trade war escalates. Fortunately, this doesn’t seem to happen as negotiations are progressing between the US and China. Hong Kong is well-known for having some of the lowest income and corporate taxes in the world. There are no import taxes or VAT for that matter, a reason why many people buy electronics and other products when visiting Hong Kong. Not to forget, capital gains tax is rarely levied for real estate transactions. Still, the government has introduced new regulations as late as 2018, something that can determine whether Hong Kong is a no-go for you. Let’s have a look at the taxes you need to pay when buying, holding, or selling real estate in Hong Kong. If you want to read more about the AVD and with illustrative examples I recommend you to visit the IRD’s website. In addition to the AVD, the government has introduced a Buyer’s Stamp Duty (BSD). The BSD is applicable to foreigners, but not to permanent residents (HKPR). The BSD is charged at a flat rate of 15% and needs to be added on top of the Ad valorem duty. In total, this results in a hefty stamp duty of 30%. In the past, both locals and mainland Chinese found ways to avoid paying the hefty stamp duties, as it was charged to permanent residents that were second time home buyers. A local billionaire who bought nearly 300 properties managed to buy additional properties worth HKD 1.4 billion through his company. In this way, he could avoid to pay taxes worth around USD 17,000,000. Simply put, he was considered a “first time home buyer” and had never bought a property in his own name. He also possessed a permanent residence permit at the time. Who pays for the buyer’s stamp duty, the buyer or the seller? As it speaks, the buyer pays the stamp duty. When do I need to pay the buyer’s stamp duty? The BSD has to be paid within 30 days after the execution of the chargeable document. The annual property tax is calculated at a standard rate of the net annual assessable value of the property, running from April 1st to March 31st of the following year. The rate is currently set to 15% and deducted from your rental incomes. However, you’re able to make deductions for maintenance first, if those are considered relevant. = HKD 96,000 (your assessable income). In case you buy and sell property with a profit seeking incentive, you might need to pay a capital gains tax. Each case is treated individually and you need to keep your records for at least 7 years after the completion of the sale. A seller’s stamp duty (SSD) is charged with a rate that decreases progressively, depending on your holding period. 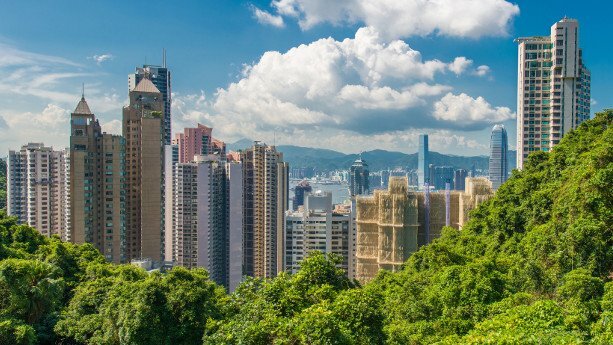 Can foreigners get residence permits when buying property in Hong Kong? Foreigners cannot become permanent residents by simply buying real estate. You need to live in Hong Kong for at least 7 years to become a permanent resident. There are no restrictions for foreigners to rent out property in Hong Kong. To make the leasing process as smooth as possible, I recommend you to let your real estate agent handle the tenant screening and the management of tenants. Normally, this is done by the agent who helped you buy the property. Before signing the tenancy agreement, you need to set up an estate agency agreement, which formalizes your collaboration with the agent. The tenancy agreement will show the rights and restrictions your tenant has when leasing your property. The agent also needs to provide a land search and provide a copy of that land search to the tenant. After the tenant has reviewed the land search and you’ve agreed on all the terms, such as the rent and the rental period, you need to create a Provisional Agreement (PA). At this time, the tenant will pay a deposit and sign the PA. Thereafter, you need to prepare the Formal Agreement (same as during the buying process). Be sure to print three copies of the estate agency agreement and the formal tenancy agreement: One for you, one for the tenant, and one for the real estate agent. Don’t forget that you’ll need to pay a commission to the real estate agent. These details should be clearly stipulated in the PA and the Formal agreement. Even if Hong Kong is one of the most multicultural financial hubs in Asia, it’s sometimes difficult to find residential real estate agents in Hong Kong. In fact, many foreign real estate companies focus primarily on commercial real estate, while residential agents mainly target locals and market their services in Cantonese. You can also find smaller foreign owned estate agents on places like Lantau Island, for example, HomeSolutions. You usually need to pay a commission of 1% to the realtor. More and more locals complain that the commissions are too high, as realtors can secure great commissions from a comparably “small” amount of work. Especially when taking the high property prices into consideration. We will probably see a change to this in the future as companies have started to offer online services. For example, nowadays you can view properties online by using VR. Technology is catching up in the real estate market for sure. Hong Kong’s property market has seen tremendous price increases the past years, mainly due to investments from Mainland China. It’s been the prime spot for companies and individuals to allocate cash as it’s considered a safe haven with one of the most liberal economies in the world. Foreigners and mainlanders don’t have any particular issues to buy real estate. Still, you can’t buy property on a freehold basis, but need to lease with a time period of 50 years. In case you need financing, there are plenty of banks who are willing to help you. Yet, your source of income should preferably be in Hong Kong and the maximum amount available is capped at HKD 3 – 4 million and LTV ratios of 40-50%. Property taxes have increased immensely over the past years, and especially for non-resident buyers who mainly buy real estate as investments. The stamp duties totals of 30%, which speaks for itself. Hong Kong can be a good option if you have a decent amount of cash and look for a safe place to invest long-term. It’s not the performer in terms of rental yields whatsoever, but there are other countries that might be more suitable if that’s your preference.